Yep, it's that time of year once again. The weather is starting to get a bit chilly, the X-Factor and Strictly are back on the TV and one of your colleagues has, inevitably, started the premature countdown to Christmas. 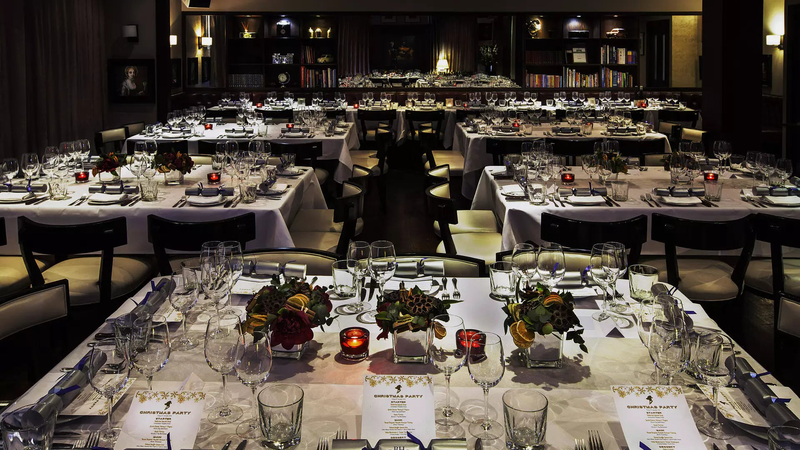 So, we're bringing you our top ten venues that'll mean your <a href=https://hirespace.com/Top/London/London-Christmas-Party-Venues" target="_blank">Christmas party goes off without a hitch and you can fully enjoy the festive season. This Georgian Townhouse provides an elegant backdrop for your festive celebration. 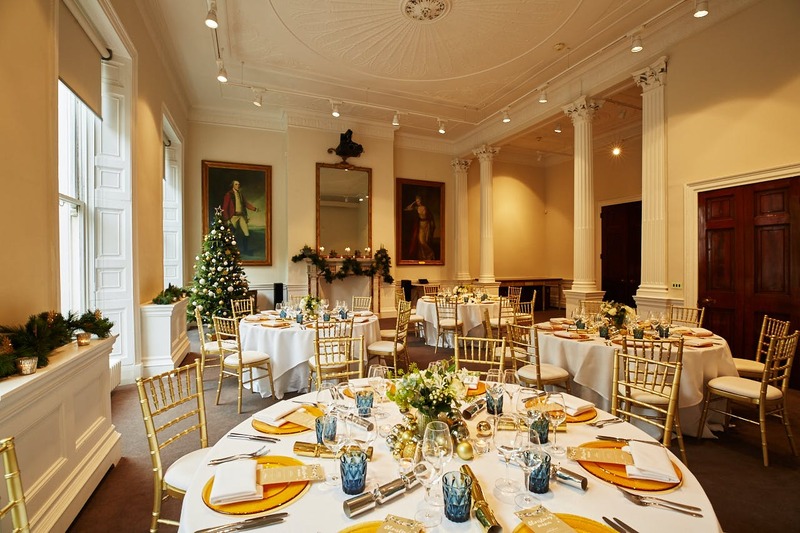 The venue fully embraces the season in the Council Chamber and terrace, with beautifully decorated Christmas trees and a range of packages to suit your event, from standing receptions for 160 to more intimate dining for up to 75. Perfectly located in the heart of Marylebone, close to Regent's Park, 41 Portland Place is a practically perfect. Drinking, dancing, canapes and an extensive festive menu, RSA has it all. 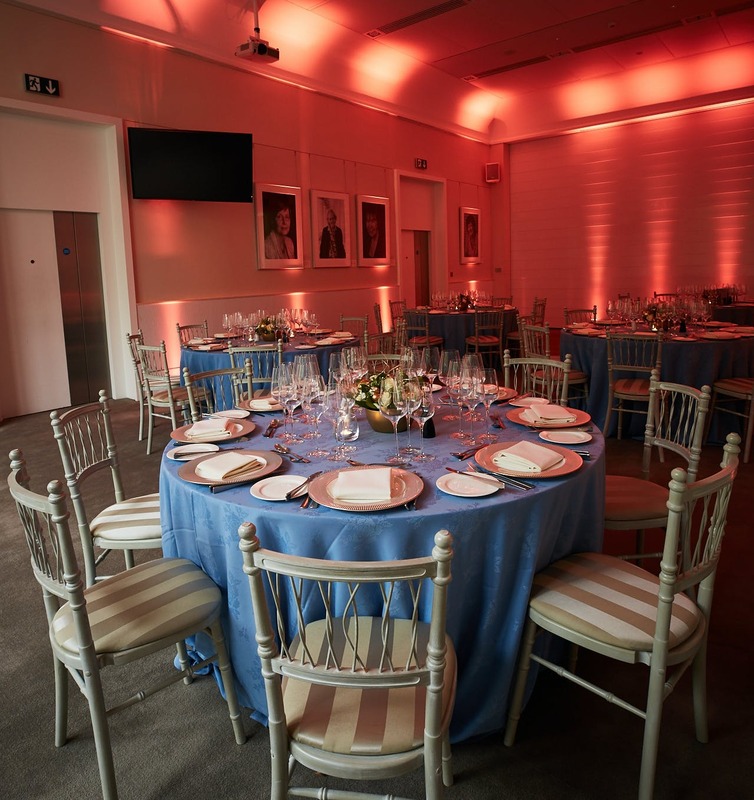 It's a versatile venue offering both historic elegance and urban blank canvas spaces. 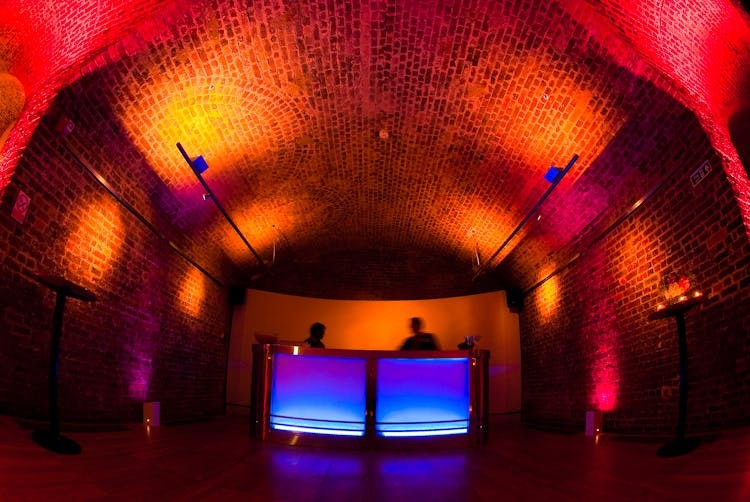 The Vaults offer a blank canvas of an event space. This central London ‘hidden gem’ with its exposed brickwork and quirky alcoves mean you can dress the space as much or as little as you desire. The timeless style of the space lends itself to an endless list of event possibilities. Regency meets contemporary at Prince Philip House. The impressive is complemented by a modern interior that can be perfectly transformed for any event, including Christmas. The beautiful original staircase leads guests into the venue bedecked with festive lights, where they'll be met with ambient lighting and the distinct Christmassy smell of fir. A beautifully decorated tree and elegant festive touches combined with all-inclusive, three-course dining packages mean you'll have a Christmas party to remember. This Tudor-style hall was built in the 1920s but still gives the impression of being in a grand country house, despite being in the middle of the City of London. This year the venue will be transformed for a festive 'Masked Ball'. The ornate rooms, grand staircases and oak panelling all add to the grandeur and mystery of the theme. Combined with delicious food, drink and plenty of room for dancing, Ironmongers' Hall will be as intriguing as your masked guests. 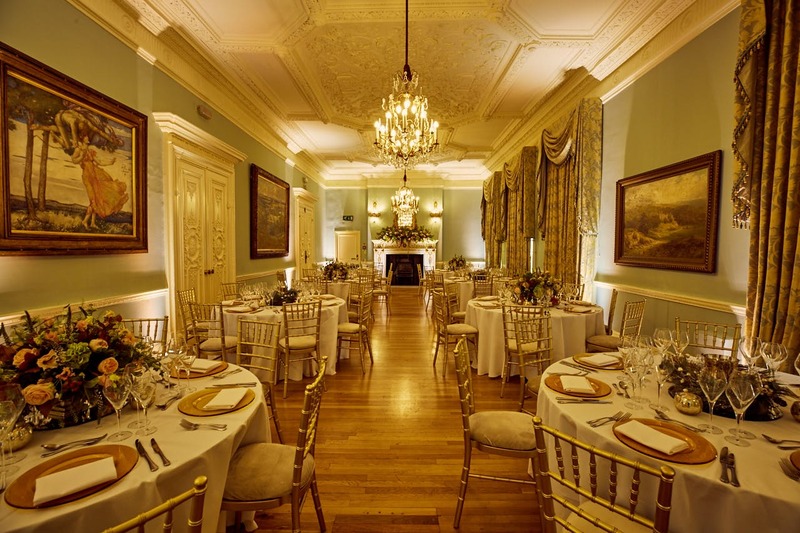 Located in the heart of Mayfair, this Georgian house is perfect for an elegant Christmas soiree. Complete with a French-style courtyard, Dartmouth house provides a truly magical backdrop. With indulgent food and drink packages on offer and a beautifully decorated tree, the venue transports you to another era; a Christmas party here is one you won't forget. Nestled on King's Road, the private members club is set over four floors boasting a lounge, restaurant, cocktail bar and a Champagne bar. Relaxed and welcoming, the venue is indulgent, luxurious and cosy. The dark reds and greens of the interiors lend themselves to the festive season and provide a beautiful backdrop for Christmas lunches, dinners and parties. The team are hugely flexible and are on hand to create a memorable event; veritable Christmas elves! Set within three beautifully restored Victorian railway arches, moments from Hoxton station this bar and restaurant oozes cool. The exposed brick and carefully considered design make the venue instantly inviting, not to mention beautiful. Also known for its delicious food offering, whether it's bowl food or a sit-down banquet, Beagle provides an ideal space for Christmas parties. Made up of the bar, restaurant and heated terraces, the whole venue can be hired as one or in its individual parts, depending on your requirements. Previously a town hall this stunning hotel is located in the heart of east London and combines beautiful architecture with cutting-edge design. Bethnal Hall is perfectly suited to Christmas parties. It's highly versatile as it's made up of four interconnecting rooms with solid walls that recess upwards into the ceiling. This provides the opportunity for several different setups, depending on the requirements of your festive shindig. The elegant room boasts wooden floors and walls, complemented by original 1930s features that create a cosy, candlelit festive atmosphere, perfect for the season of goodwill. With more than 15 years of experience, The Chapel Bar knows how to throw a Christmas party. The venue boasts two distinct spaces across two floors, that will be decked out with baubles, lights and of course a Christmas tree when the festive season rolls around. The Saloon is at the heart of the venue and offers a versatile space for up to 180 people, with a large dance floor, disco lighting and a 3am license (a necessity for a festive party). The Terrace Room has an adjoining terrace and is perfect for more intimate events of up to 80 standing. The terrace is also heating, providing an all-season outside space, ideal for taking a breather from the dance floor. Cirque Le Soir is an immersive experience located just moments from Regent Street. The circus experience can be tailormade for your event of up to 500+ guests. The perfect place to inject festive fun into your event, expect silliness, shenanigans and a night to remember.